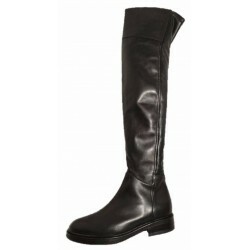 Black and soft leather boots for ladies. High cut. Trendy style, with high heel and platform. 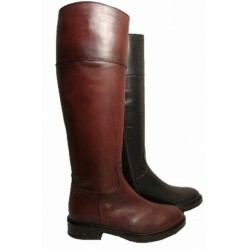 Below the knee boots for ladies, made with slightly creased leather. The leather is shiny black and it is very soft. The boots are lined with printed fabric, in the traditional Felmini pattern, full of color. Beautiful shape at the foot. Very nice line along the leg. Closed with easy zip on side. Rubber sole. 8.5 cm well based heel and 1.5 cm platform. Enjoy the comfort of fashion. Boots in black leather, with zippers and soft lug sole Made by Italian shoe brand Mosaiqe, for the new fall winter 2018-19 collection. Boots in black leather, high below the knee. Comfortable high heel Made by Italian shoe brand Dénouée, for the new fall winter 2018-19 collection. Made in Italy by Italian shoe brand Progetto, fall winter 2017-18 High boots over the knee, in genuine black leather. Smooth line. Felmini black boots for ladies, collection fall winter 2017-18 Hand painted leather boots for ladies, with slouch leg. Comfortable 7 cm heel. 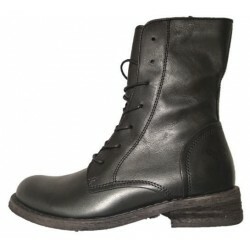 Lace up boots in genuine black leather, hand painted. Collection fall winter 2018-19 by Felmini Casual fashion style combat boots for ladies, lace ups. Made in genuine leather, hand painted.